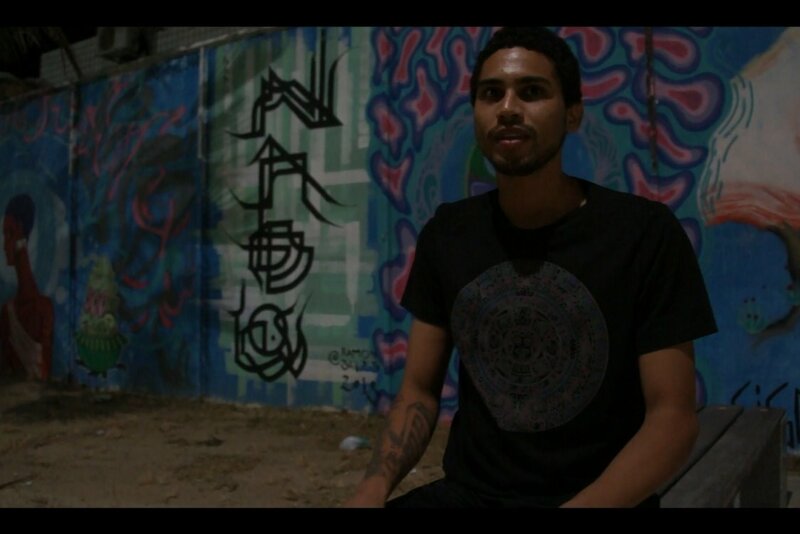 THE CHANGEMAKER FILM project started last summer with this campaign on Gofund me. The project is now in an advanced stage. Thanks to all the generous previous donators, Natalia and Fabien are on the spot in Brazil since the 21th September 2018. 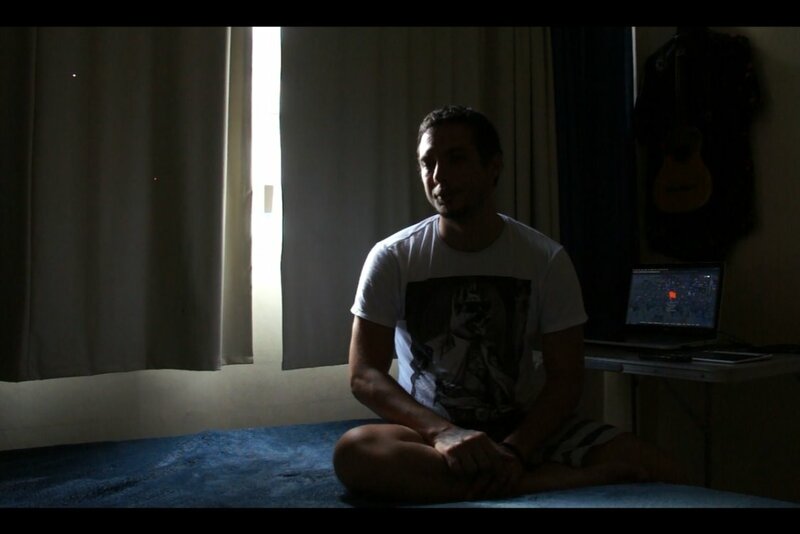 They have filmed the current situation of Venezuelan refugees in different places of the country. The shooting will last until the 14th November 2018. Then, the project will evolve to the next step: the post-production of the movie. During the post-production we will start to search for festivals and places where we can screen the movie. And most of them ask money to submit the film in the competition. To find support for the next phases of this project, we will continue our campaign on Go Fund Me! We will update and share with you all the different possibilities and results of film festivals! Our campaign on Go Fund Me will continue all along this phase, so you can still help us! After we finalise the film editon, everyone who contribute to make this project a reality will receive a link to the final movie! (around February or March 2019). 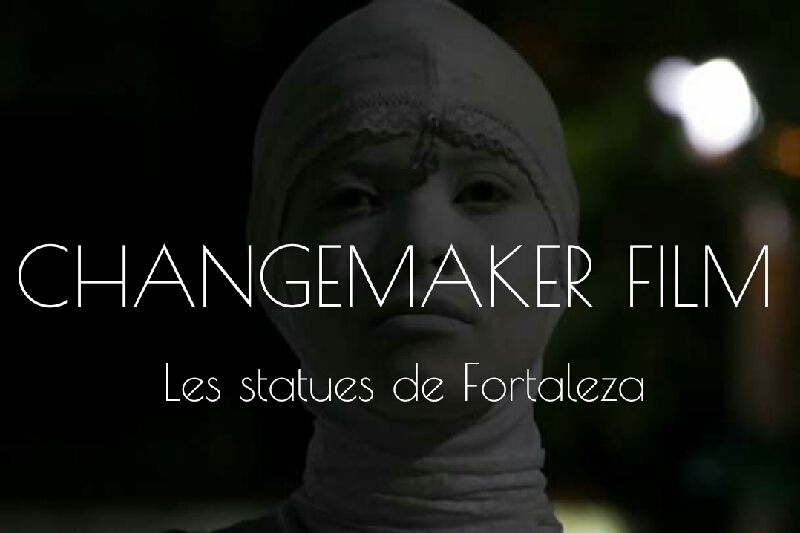 CHANGEMAKER FILM SOUTH AMERICA is the name of a humanitarian movie project initiated since a few months by Fabien Guillermont and Natalia Albuquerque. The current lack of information and communication about Venezuela’s crisis justifies this projects’s intention to give voice to those being affected by it. 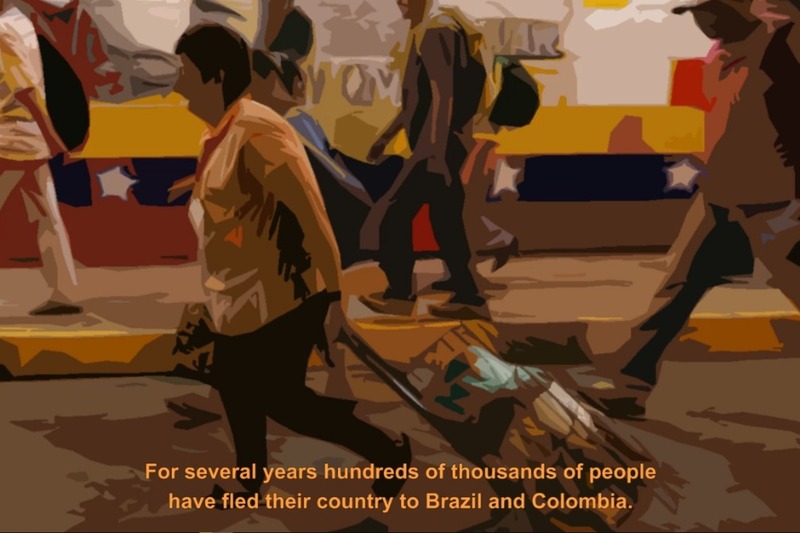 For several years hundreds of thousands of Venezuelans have fled their country to Brazil and Colombia and other countries in the region. This situation results from a complex political and economic context of the country. Since the death of Hugo Chavez in 2013, Nicolas Maduro presides over the country through an unprecedented crisis. 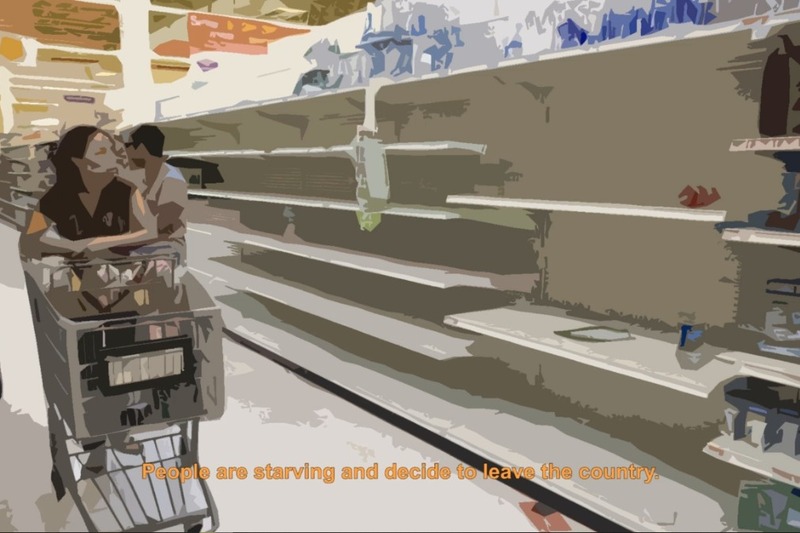 In a rise of starvation and shortage of medical needs, many Venezuelas to decide to leave the country. To follow this situation, we plan to join NGO's activities in Boa Vista in Brazil, to look at their facilities and actions to support people who are crossing the border. The film will be focused on the difficulties of travel, hospitality and local and political repercussions related to the reception of refugees. The economic and humanitarian crises, combined with rising political persecution, have forced many Venezuelans to flee; around five hundred thousand have left the country in the last two years alone. If conditions worsen, many more Venezuelans could flow into neighbouring countries. Colombia would be burdened the most by these outflows, given the length of the shared border, the commercial links, and the personal ties millions of Venezuelans have there. Brazil, Guyana, and nearby Caribbean islands. The outflow has escalated in recent months, with the majority of people crossing over to Colombia and Brazil; thousands of others have fled to nearby islands. According to the UN High Commissioner for Refugees (UNHCR), in 2016 twenty-seven thousand Venezuelans sought asylum worldwide; from January through July 2017 alone, more than fifty-two thousand applied for asylum. Over fifteen thousand of these have filed in the United States, making Venezuelans the most numerous asylum seekers in the country. Many times this number are departing Venezuela on other visa classifications and via informal routes. The UNHCR conservatively estimates that five thousand Venezuelans now reside in Curacao, twenty thousand in Aruba, thirty thousand in Brazil, forty thousand in Trinidad and Tobago, and over six hundred thousand in Colombia. The film’s shooting is schedule for September and October 2018, focusing on the current situation of individuals fleeing the Venezuelan crisis and highlighting the action of people trying to help to make change. On the one hand, we want to meet people who are in direct contact with refugees and explain what is possible to do in this kind of situation. What they need and what they do. It would be really interesting to film NGO's actions in Boa Vista and other mostly affected cities in the border. Following the aim to show the magnitude of the situation and the tasks to be accomplished. As well as, the commitment of people who are engaged for a common interest. For this, we are going to meet local people, and ask them about how they live in order to expose what remains crucial to be solved or relieved in this massive influx of people in need. CARITAS may offer us the opportunity to film their operations with resettlement of refugees in Rio de Janeiro. This perspective would be relevant to bring light onpolitical and economic repercussions related to the reception and integration of refugees in Brazil. On the other hand, we want to meet people who fled their home to find a safer place. Their testimony is a powerful plea to the hidden cause. Their faces become symbols and their story ours. In order , to film the origin of their despair, this film will also explore the situation in Venezuela, by showing the political and economic crisis that forces them to flee. This film do not hold the purpose to give clear answers on the origin of the crisis, but to observe its consequences. Interviews will be made by following people in their day-life activities, and different points of views will be combined, in order to create a clear image of what is happening at the borders. Visit of shelters and meet local people. Visit of CARITAS’s centre and resettlement operations. Observe the situation on the bridge between Cucuta and San Antonio del Tachira in Venezuela, where thousands Venezuelan refugees cross everyday to find better living conditions. 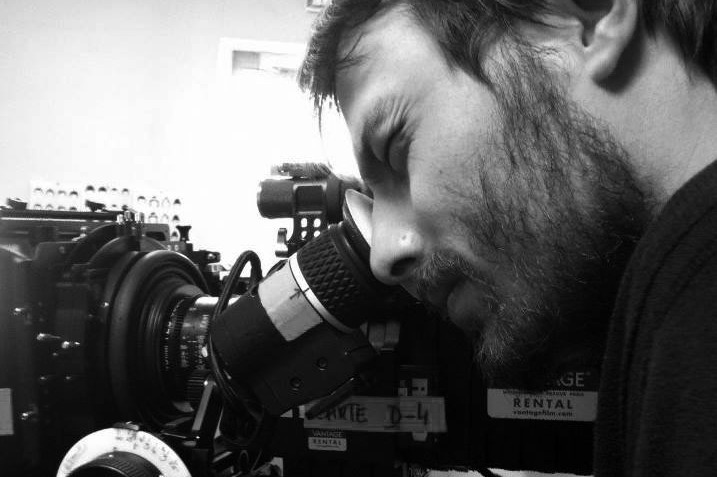 We will be able to shot in Boa Vista and Rio de Janeiro. From France to Fortaleza inBrazil (1person). From Fortaleza to Boa Vista. (2 people). From Boa Vista to Rio de Janeiro (2 people). From Rio de Janeiro to Fortaleza (2 people). From Fortaleza to France (1 person). We will be able to go further and go in Cúcuta. 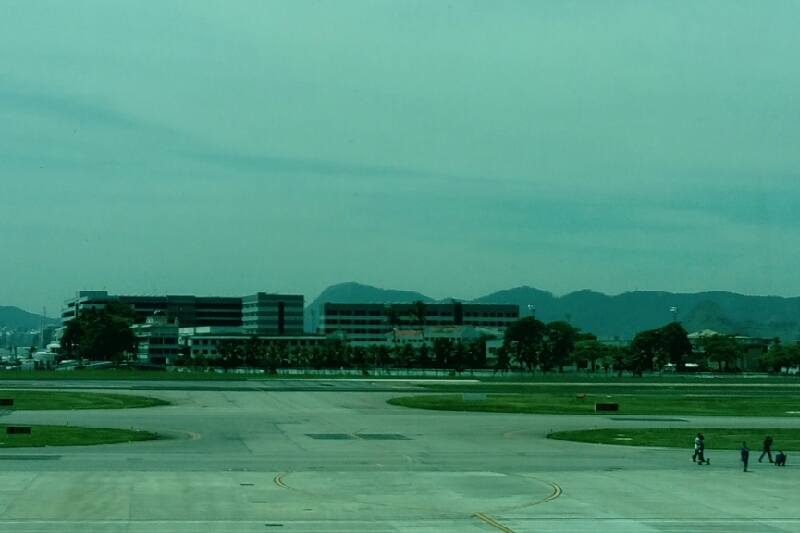 From Rio de Janeiro to Cucuta (2 peolpe). From Cucuta to Fortaleza (2 people). We will buy additional necessary video material (sd cards, hard drive, sound recorder, small computer) and all the necessary administration papers and medical care. We could also go further in other places and discover more about the issue. 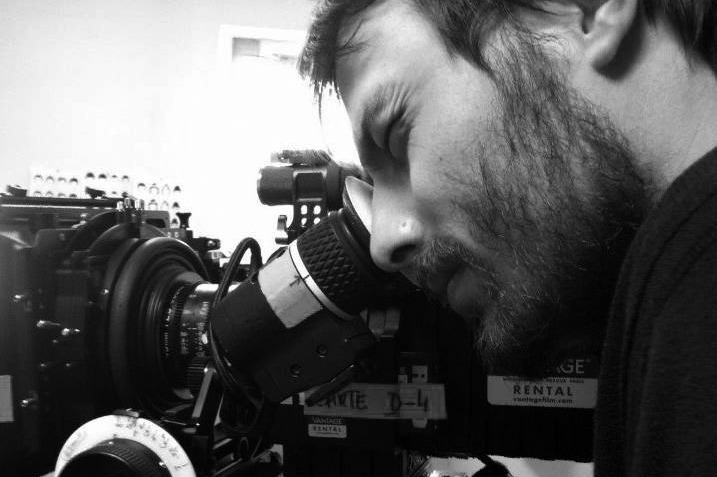 Independant film director. He has covered different humanitarian crisis this last years. His last movie EXODOS was shot aboard the Aquarius, SOS Méditerranée’s rescue vessel for refugees in Mediterranean sea. 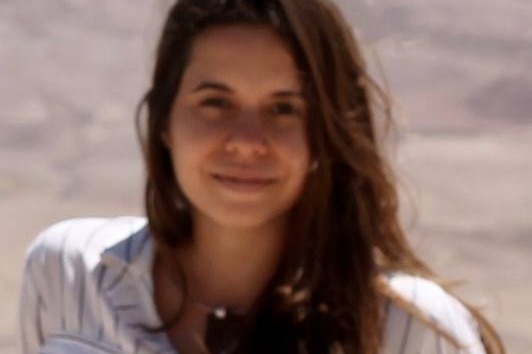 Natalia is an International Relations professional interested in working towards the awareness, relief and solution of international humanitarian situations. 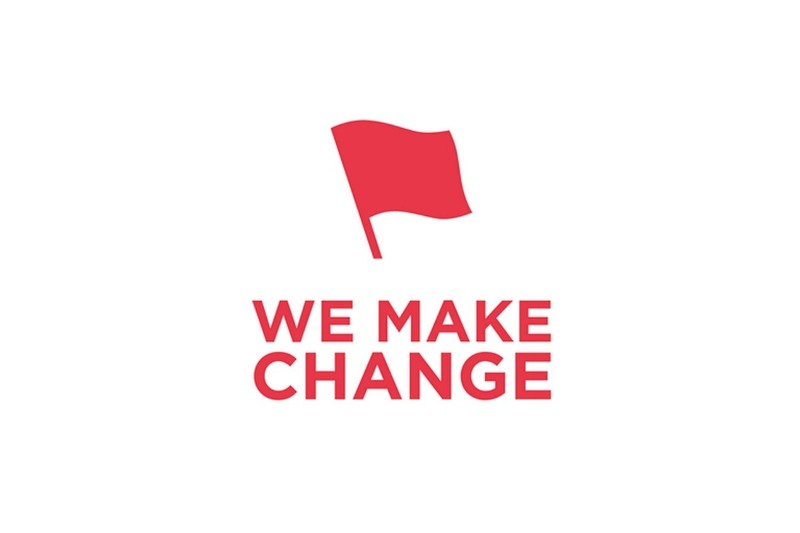 WE MAKE CHANGE is a global online community of individuals and NGOs coming together to change the world. Crowdfunding campaign will be launched in August 2018 with the support of We Make Change community. It will be open to everybody who wants to help and participate. The aim is to start it in the beginning of August and close it in the beginning of September, when We Make Change film’s team travels to Brazil. 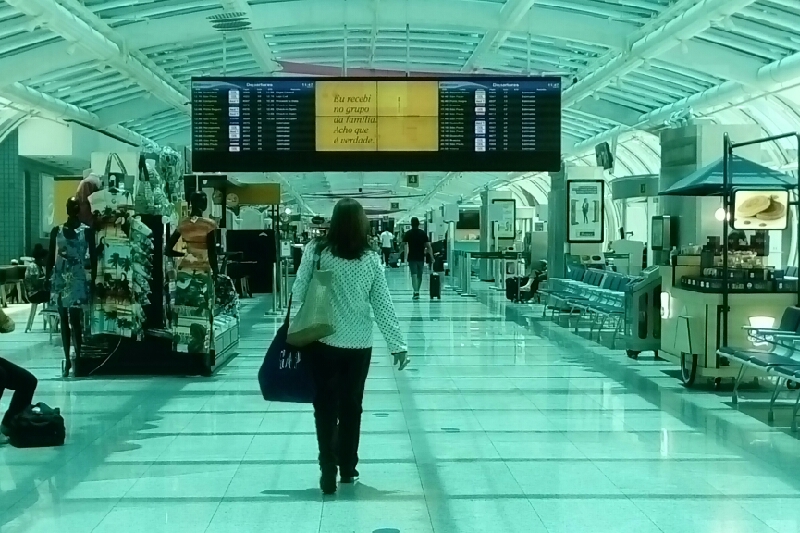 As soon as the crowdfunding is finished, the film’s team will flight to Boa Vista to meet NGO's members. The film will start to be shooted there and in the most affected cities in the border. After this first location, the film’s team will flight to Cucuta in Colombia. At the last stage, the film’s team will return to Brazil to meet CARITAS’s members in Rio de Janeiro. The director will be in charge of the editing of the movie, and realise some marketing material, as posters, by himself. The editing process can take time, some weeks or months. During this time, the film will be promoted on the internet and social media. In the end of the editing process, a screen-test will be organised with a small group of people who will see movie for the first time. Their opinion will help us to complete and finish the movie. After completed, we aim to organise an event for a world-premiere, especially for CHANGEMAKER community and friends, likely to take place in London. We Make Change community can help us to promote the documentary through festivals searching, cinemas, or other places or events to sreen the movie, through member’s connections with film-distribution and engagement with bringing the movie to a bigger stratum, in order to present it to a wider audience. The movie will be send to different festivals around the world and the NGOs involved with the movie will be able to use the film for their official communication, in order to highlight their actions and take part of the advocacy for this cause. All people who will help and participate in this fundraising will find his or her name in the ending title of the movie if they want. CHANGEMAKER FILM SOUTH AMERICA est le nom du projet de film humanitaire mené depuis plusieurs mois par Fabien Guillermont et Natalia Albuquerque. Ce projet de film a pour but de répondre au manque d'informations et de communication au sujet de la crise au Vénézuéla, et donner la parole à ceux qui y sont confrontés chaque jour. Depuis plusieurs années, des centaines de milliers de Vénézuéliens ont fuit leur pays pour se rendre au Brésil, en Colombie où d'autres pays alentours. Cette situation résulte d'un contexte politique et économique très complexe. Depuis la mort d'Hugo Chavez en 2013, Nicolas Maduro préside le pays au travers d'une crise sans précédent. Le manque d'accès aux besoins et aux soins médicaux ainsi qu'une famine généralisée ont conduis des millions de personnes à fuir le pays. Nous prévoyons de rejoindre les campements humanitaires des ONG à Boa Vista, au nord du Brésil, pour suivre leurs activités et mettre en lumière l'action des gens qui y travaillent, aident et soutiennent les réfugiés qui traversent la frontière. Le film se concentrera sur les difficultés liées au voyage, l'hospitalité des pays d'accueil et les répercussions locales et politiques liées à la réception massive des réfugiés. La crise économique et humanitaire, combinée aux persécutions politiques, a forcé de nombreux Vénézuéliens à fuir; près de 500 000 personnes sont parties ces deux dernières années. Les conditions empirent et beaucoup d'autres vont continuer à migrer vers les pays voisins. La Colombie accueille la plus grande partie de ce flux, dû à la frontière commune avec le Vénézuela, tout comme le Brésil, la Guyane, et les îles Caraibes. Le nombre de réfugiés a considérablement augmenté cette dernière année. Selon l'UNHCR, en 2016 vingt-sept mille Vénézuéliens ont demandé asile; de Janvier 2017 à Juillet 2017 plus de cinquante-deux mille ont fait la même demande. Plus de quinze mille d'entre eux sont entrés aux États-Unis, faisant des Vénézuéliens les demandeurs d'asile les plus nombreux du pays. Mais un grand nombre de personnes quittent le Vénézuéla par d'autres moyens, sans demande de visa et par des itinéraires informels. Le HCR estime avec prudence que cinq mille Vénézuéliens résident actuellement à Curaçao, vingt mille à Aruba, trente mille au Brésil, quarante mille à Trinité-et-Tobago et plus de six cent mille en Colombie. Le tournage du documentaire aura lieu en Septembre-Octobre 2018, se concentrant sur la situation actuelle des personnes fuyant la crise vénézuélienne et soulignant l'action des personnes qui essaient d'aider à faire changer les choses. D'une part, nous voulons rencontrer des personnes en contact direct avec les réfugiés et filmer leurs actions, montrer ce qu'il est possible de faire dans ce genre de situation. Nous voulons filmer les actions des ONG à Boa Vista et dans les autres villes les plus touchées de la frontière, dans le but de montrer l'ampleur de la situation et des tâches à accomplir. Ainsi que mettre en avant l'engagement des personnes qui sont engagées dans ce type de cause humanitaire pour l'intérêt commun. Pour cela nous allons rencontrer les populations locales et observer les répercutions sur leurs vies et habitudes face à cet afflux massif de personnes dans le besoin, exposer ce qu'il est possible de mettre en place et crucial pour résoudre ou soulager le problème. CARITAS nous offre l'opportunité de filmer leurs opérations d'aide à l'accueil et l'intégration des réfugiés à Rio de Janeiro, et mettre l'accent sur les répercussions politiques et économiques liées à l'accueil et à l'intégration des réfugiés au Brésil. D'un autre côté, nous voulons rencontrer des gens qui ont fui leur maison pour trouver un endroit plus sûr. Leur témoignage devenant le plus souvent un véritable plaidoyer dans ce type de cause. Leurs visages deviennent des symboles et leur histoire la nôtre. Le film ne propose pas de donner des réponses claires aux origines de cette crise, mais cherche à en montrer les conséquences. Nous réaliserons de nombreuses interviews, filmeront les différentes personnes dans leurs activités respectives, et essaierons d'offrir un point de vue à la fois intime et global de la situation, et sur ce qu'il se passe aux frontières. Visite des camps de réfugiés, et rencontre avec les personnes locales. Visite du centre d'accueil de CARITAS et des opérations d'accueil et intégration des réfugiés. Observer la situation à la frontière sur le pont qui relie Cucuta et San Antonio del Tachira au Vénézuéla, traversé par des milliers de Vénézuéliens chaque jour. Nous pourrons aller à Boa Vista et Rio de Janeiro. Vol depuis la France à Fortaleza au Brésil (1 personne). de Fortaleza à Boa Vista. (2 personnes). de Boa Vista à Rio de Janeiro (2 personnes). de Rio de Janeiro à Fortaleza (2 personnes). de Fortaleza en France (1 personne). 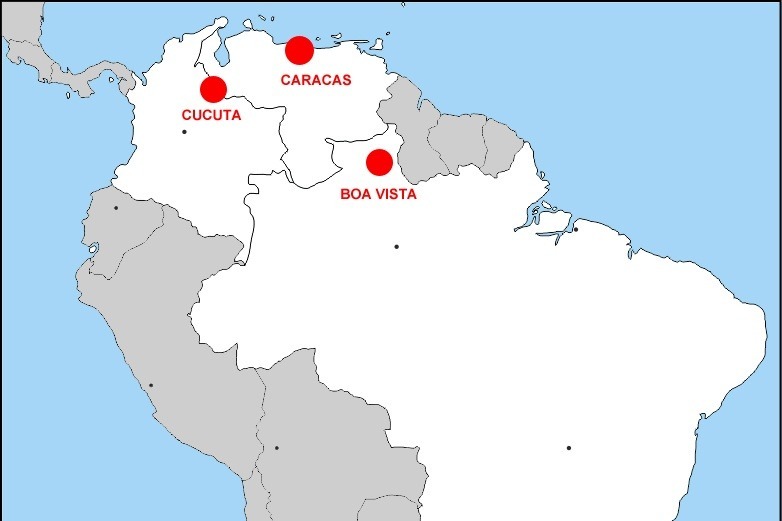 Si nous atteignons le second pallier nous pourrons nous rendre dans d'autres villes supplémentaires: Notamment Cucuta en Colombie. de Rio de Janeiro à Cucuta (2 personnes). de Cucuta à Fortaleza (2 personnes). Le troisième pallier nous permettra d'acheter un peu de matériel vidéo et son supplémentaire dont nous avons besoin (cartes sd pour la caméra, disques durs externes pour le stockage, un meilleur microphone pour les interviews, un petit ordinateur pour le voyage), ainsi que de payer les frais administratifs et médicaux nécessaires sur place. Réalisateur indépendant, il a couvert différents sujets sociaux et crises humanitaires ces dernières années. Son dernier film intitulé EXODOS a été tourné à bord de l'Aquarius, bateau de sauvetage affrété par SOS Méditerranée pour porter secours aux réfugiés en mer Méditerranée. Natalia est une professionelle en relations Internationales, qui travaille à la sensibilisation, au secours et à trouver des solutions aux situations humanitaires internationales. Campagne de fonds participative sur internet afin de réunir le financement nécessaire au voyage. Tournage du film au Brésil, Colombie. Post-production du film. Montage image et son. 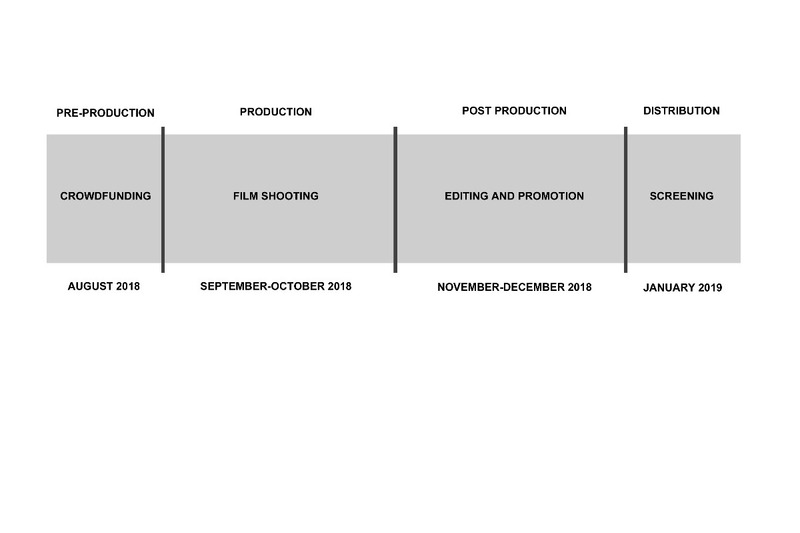 Début de la promotion du film et de la recherche de festivals et de lieux de projections. Sortie du film en avant Première à Londres, en partenariat avec We Make Change. Le film sera aussi distribué aux ONG qui ont participé au projet afin de promouvoir leurs actions. Toute personne qui participe et soutien ce projet, notamment cette campagne de fond, pourra retrouver son nom au générique de fin du film si il ou elle de désire. Merci à tous pour votre soutien et votre intérêt! CHANGEMAKER FILM - SOUTH AMERICA é o nome de um projeto de filme humanitário iniciado há alguns meses por Fabien Guillermont e Natalia Albuquerque. A atual falta de informação e comunicação sobre a crise da Venezuela justifica a intenção desse projeto de dar voz àqueles afetados por ela. Por vários anos, centenas de milhares de venezuelanos fugiram de seu país para o Brasil, Colômbia e outros países da região. Esta situação resulta de um contexto político e econômico complexo do país. Desde a morte de Hugo Chávez em 2013, Nicolas Maduro preside o país através de uma crise sem precedentes. Em um aumento da escassez de alimentos e de suprimentos médicos, muitos venezuelanos e venezuelanas decidem deixar o país. Para acompanhar essa situação, planejamos nos juntar às atividades em Boa Vista, no Brasil, como às atividades de outras ONGs locais, para analisar suas instalações e ações para apoiar as pessoas que cruzam a fronteira. O filme será focado nas dificuldades de viagem, hospitalidade e repercussões locais e políticas relacionadas à recepção de refugiados. As crises econômicas e humanitárias, combinadas com a crescente perseguição política, forçaram muitos venezuelanos a fugir; cerca de quinhentos mil deixaram o país nos últimos dois anos. Se as condições piorarem, muito mais venezuelanos poderão fluir para os países vizinhos, como Brasil, Guiana e ilhas vizinhas do Caribe. A Colômbia seria mais sobrecarregada por essas saídas, dada a extensão da fronteira compartilhada, os laços comerciais e os laços pessoais que milhões de venezuelanos têm lá. O fluxo de saída aumentou nos últimos meses, com a maioria das pessoas atravessando para a Colômbia e o Brasil; milhares de outros fugiram para as ilhas próximas. Segundo o Alto Comissariado das Nações Unidas para os Refugiados (ACNUR), em 2016, 27 mil venezuelanos pediram asilo em todo o mundo. Só de janeiro a julho de 2017, mais de cinquenta e dois mil solicitaram asilo, mais de quinze mil deles foram depositados nos Estados Unidos, tornando os venezuelanos os mais numerosos requerentes de asilo do país. Muitas vezes esse número está deixando a Venezuela com outras classificações de visto ou via rotas informais. O ACNUR estima que cinco mil venezuelanos agora residem em Curaçao, vinte mil em Aruba, trinta mil no Brasil, quarenta mil em Trinidad e Tobago e mais de seiscentos mil na Colômbia. No sul do Caribe, as primeiras mortes de venezuelanos no mar foram relatadas quando 5 corpos foram jogados em terra em Curaçao depois que um barco carregando cerca de 30 venezuelanos naufragou. Na Colômbia, a campanha anti-xenofobia «Somos Panas» do ACNUR alcançou mais de 2,6 milhões de pessoas, com autoridades locais e nacionais apoiando a campanha para promover a compreensão em relação aos venezuelanos que chegam e vivem na Colômbia. No Brasil, 150 venezuelanos estão sendo registrados por dia. Mais de 1.200 venezuelanos vivem no governo e abrigos apoiados pelo ACNUR. No Peru, durante as primeiras três semanas de janeiro de 2018, cerca de 1.000 pedidos de refúgio foram apresentados por venezuelanos perante a Secretaria Especial da Comissão para os Refugiados, em Lima. Autoridades relataram que cerca de 47.000 venezuelanos cruzaram para o Equador no mês de dezembro de 2017, 86% dos quais cruzaram através da Ponte Internacional Rumichaca da Colômbia. No entanto, nem todas essas pessoas devem permanecer no Equador, pois muitas continuam viajando para o sul em direção ao Peru. As ilhas do Caribe estão recebendo cada vez mais venezuelanos, com cerca de 60.000 habitantes em Trinidad e Tobago, Curaçao e Aruba. As filmagens do filme estão agendadas para setembro e outubro de 2018, com foco na situação atual de pessoas que fogem da crise venezuelana e destacam a ação de pessoas que tentam ajudar a fazer mudanças. Por um lado, queremos conhecer pessoas que estão em contato direto com os refugiados e explicar o que é possível fazer nesse tipo de situação. O que eles precisam e o que fazem. Seria muito interessante filmar as ações em Boa Vista e outras cidades mais afetadas na fronteira. Seguindo o objetivo de mostrar a magnitude da situação e as tarefas a serem realizadas. Bem como, o compromisso de pessoas que estão engajadas por um interesse comum. Para isso, vamos conhecer pessoas locais e perguntar-lhes sobre como elas vivem, para expor o que ainda é crucial para ser resolvido ou aliviado nesse afluxo maciço de pessoas necessitadas. A PARES CARITAS RJ pode nos oferecer a oportunidade de filmar suas operações com o reassentamento de refugiados no Rio de Janeiro. Essa perspectiva seria relevante para trazer luz às repercussões políticas e econômicas relacionadas à recepção e integração dos refugiados no Brasil. Por outro lado, queremos conhecer pessoas que fugiram de casa para encontrar um lugar mais seguro. Seu testemunho é um apelo poderoso à uma causa oculta. Seus rostos se tornam símbolos e sua história a nossa. Este filme não tem o objetivo de dar respostas claras sobre a origem da crise, mas observar suas consequências. Entrevistas serão feitas seguindo as pessoas em suas atividades diárias, e diferentes pontos de vista serão combinados, a fim de criar uma imagem clara do que está acontecendo nas fronteiras. Visitar de abrigos gerenciados e conhecer pessoas locais. Visitar do centro da PARED CARITAS RJ e operações de reassentamento. Observar a situação na ponte entre Cúcuta e San Antonio del Tachira, na Venezuela, onde milhares de refugiados venezuelanos se cruzam todos os dias para encontrar melhores condições de vida. Poderemos filmar em Boa Vista e no Rio de Janeiro. Da França para Fortaleza no Brasil (1 pessoa). De Fortaleza para Boa Vista. (2 pessoas). De Boa Vista para Rio de Janeiro (2 pessoas). Do Rio de Janeiro para Fortaleza (2 pessoas). De Fortaleza para a França (1 pessoa). De Rio de Janeiro para Cúcuta (2 pessoas). De Cúcuta de volta para Fortaleza (2 pessoas). Vamos comprar material de vídeo adicional necessário (cartões SD, disco rígido, gravador de som, computador pequeno) e todos os documentos administrativos necessários e assistência médica. Poderíamos também ir mais longe em outros lugares e descobrir mais sobre o assunto. Diretor de cinema independente. Ele cobriu diferentes crises humanitárias nos últimos anos. Seu último filme, EXODOS, foi filmado a bordo do Aquarius, o navio de resgate do SOS Méditerranée para refugiados no mar Mediterrâneo. 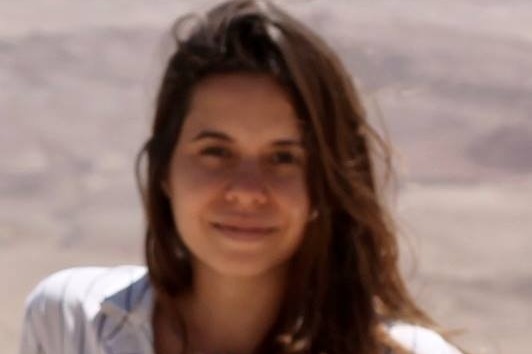 Natalia é uma profissional de Relações Internacionais interessada em trabalhar para a conscientização, alívio e solução de situações humanitárias internacionais. é uma comunidade global online de indivíduos e ONGs que se reúnem para mudar o mundo. A campanha de crowdfunding será lançada em agosto de 2018 com o apoio da comunidade We Make Change. Estará aberta a todos que queiram ajudar e participar. O objetivo é iniciá-la no início de agosto e encerrá-la no começo de setembro, quando a equipe de We Make Change viaja para o Brasil. Assim que o crowdfunding for concluído, a equipe do filme embarcará para Boa Vista. O filme vai começar a ser filmado lá e nas cidades mais afetadas da fronteira. Depois desse primeiro local, a equipe do filme irá voar para Cúcuta, na Colômbia. No último estágio, a equipe do filme retornará ao Brasil para conhecer os membros da PARES CARITAS no Rio de Janeiro. O diretor será encarregado da edição do filme, e realizará algum material de marketing, como cartazes, ele mesmo. O processo de edição pode levar tempo, algumas semanas ou meses. Durante esse tempo, o filme será promovido na internet e nas mídias sociais. No final do processo de edição, um teste de tela será organizado com um pequeno grupo de pessoas que verá o filme pela primeira vez. Sua opinião nos ajudará a completar e finalizar o filme. Depois de concluído, pretendemos organizar um evento para uma estréia mundial, especialmente para a comunidade e amigos do CHANGEMAKER FILM, que provavelmente acontecerá em Londres. A comunidade We Make Change pode nos ajudar a promover o documentário através de festivais de busca, cinemas, ou outros lugares ou eventos para filtrar o filme, através de conexões de membros com distribuição de filmes e envolvimento com o filme para um estrato maior, a fim de apresentá-lo para um público mais amplo. O filme será enviado para diferentes festivais ao redor do mundo e as ONGs envolvidas com o filme poderão usar o filme para sua comunicação oficial, a fim de destacar suas ações e participar da defesa da causa. Todas as pessoas que irão ajudar e participar desta captação de recursos encontrarão seu nome no título final do filme, se quiserem. Continuaremos compartilhando a nossa experiência durante a filmagem através da nossa página no facebook: https://www.facebook.com/ChangemakerFilm . Agradecemos a todos pela ajuda e interesse! Changemaker Film - South America es el nombre del proyecto de documental humanitario iniciado desde hace unos meses por Fabien Guillermont y Natalia Albuquerque. La actual falta de información y comunicación sobre la crisis en Venezuela justifica la intención de este proyecto de dar voz a quienes se ven afectados por ella. Durante varios años, cientos de miles de venezolanos han huido de su país a Brasil, Colombia y otros países de la región. Esta situación es el resultado de un complejo contexto político y económico del país. Desde la muerte de Hugo Chávez en 2013, Nicolas Maduro preside el país a través de una crisis sin precedentes. Debido al aumento de la escasez de alimentos y de necesidades médicas, muchos venezolanos y venezolanas deciden abandonar el país. Para seguir esta situación, planeamos unirnos a las actividades de ONG en Boa Vista en Brasil, para ver sus instalaciones y acciones para ayudar a las personas que cruzan la frontera. La película se centrará en las dificultades de viaje, hospitalidad y repercusiones locales y políticas relacionadas con la recepción de refugiados. Las crisis económicas y humanitarias, combinadas con la creciente persecución política, han obligado a muchos venezolanos y venezolanas a huir; alrededor de quinientos mil han dejado el país solo en los últimos dos años. Si las condiciones empeoran, muchos más venezolanos y venezolanas podrían ingresar a los países vecinos, como Brasil, Guyana y las islas caribeñas cercanas. Colombia se vería más agobiado por estas salidas, dada la longitud de la frontera compartida, los vínculos comerciales y los lazos personales que tienen millones de venezolanos. Así como en Brasil, Guyana y las islas caribeñas cercanas. La salida se ha intensificado en los últimos meses, y la mayoría de las personas ha cruzado a Colombia y Brasil; miles de otros han huido a las islas cercanas. Según el Alto Comisionado de las Naciones Unidas para los Refugiados (ACNUR), en 2016 veintisiete mil venezolanos buscaron asilo en todo el mundo; solo de enero a julio de 2017, más de cincuenta y dos mil solicitaron asilo. Más de quince mil de estos se han presentado en los Estados Unidos, convirtiendo a los venezolanos en los solicitantes de asilo más numerosos del país. Muchas veces esta cantidad de personas salen de Venezuela con otros tipos de clasificaciones de visa y por rutas informales. El ACNUR estima que cinco mil venezolanos ahora residen en Curazao, veinte mil en Aruba, treinta mil en Brasil, cuarenta mil en Trinidad y Tobago y más de seiscientos mil en Colombia. En el sur del Caribe, se reportaron las primeras muertes confirmadas en el mar de venezolanos, cuando 5 cuerpos llegaron a Curazao después de que naufragara un barco que transportaba a unos 30 venezolanos. En Colombia, la campaña contra la xenofobia «Somos Panas» del ACNUR ha llegado a más de 2.6 millones de personas, y las autoridades locales y nacionales han apoyado la campaña para fomentar el entendimiento hacia los venezolanos que llegan y viven en Colombia. En Brasil, 150 venezolanos están siendo registrados por día. Más de 1,200 venezolanos viven en albergues apoyados por el gobierno y el ACNUR. En el Perú, durante las primeras tres semanas de enero de 2018, los venezolanos presentaron unos 1.000 reclamos de asilo ante la Secretaría de la Comisión Especial para los Refugiados en Lima. Las autoridades informaron que unos 47,000 venezolanos cruzaron a Ecuador en el mes de diciembre de 2017, el 86% de los cuales cruzó el puente internacional Rumichaca desde Colombia. Sin embargo, no se espera que todas estas personas permanezcan en Ecuador, ya que muchas continúan viajando hacia el sur por tierra hacia Perú. Las islas del Caribe están recibiendo un número cada vez mayor de venezolanos, con alrededor de 60,000 viviendo en Trinidad y Tobago, Curazao y Aruba. El rodaje de la película está programado para septiembre y octubre de 2018, centrándose en la situación actual de las personas que huyen de la crisis venezolana y destacando la acción de las personas que intentan ayudar a hacer el cambio. Por un lado, queremos conocer personas que están en contacto directo con los refugiados y explicarles qué es posible hacer en este tipo de situaciones. Lo que necesitan y lo que hacen. Sería realmente interesante filmar las acciones de ONG en Boa Vista y otras ciudades más afectadas en la frontera. Siguiendo el objetivo de mostrar la magnitud de la situación y las tareas a realizar. Además, el compromiso de las personas comprometidas con un interés común. Para esto, vamos a conocer gente local y preguntarles cómo viven para exponer lo que sigue siendo crucial para ser resuelto o aliviado en esta afluencia masiva de personas necesitadas. PARES CARITAS - RJ puede ofrecernos la oportunidad de filmar sus operaciones con el reasentamiento de refugiados en Río de Janeiro. Esta perspectiva sería relevante para aclarar las repercusiones políticas y económicas relacionadas con la recepción e integración de los refugiados en Brasil. Por otro lado, queremos conocer personas que huyeron de su hogar para encontrar un lugar más seguro. Su testimonio es una poderosa súplica a la causa oculta. Sus rostros se convierten en símbolos y su historia en la nuestra. Esta película no tiene el propósito de dar respuestas claras sobre el origen de la crisis, sino de observar sus consecuencias. 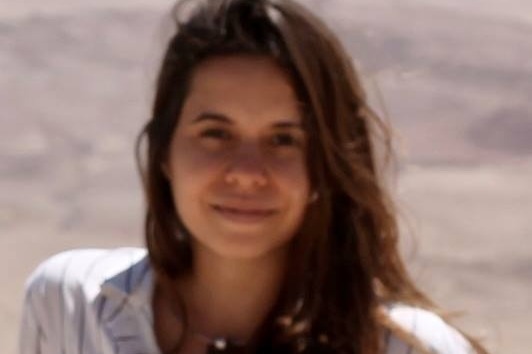 Se realizarán entrevistas con esta personas en sus actividades de la vida cotidiana, y en el documental se combinarán diferentes puntos de vista para crear una imagen clara de lo que sucede en las fronteras. Visita de refugios gestionados y conocer a la población local. Visita del centro de PARES CARITAS - RJ y las operaciones de reasentamiento. Observar la situación en el puente entre Cúcuta y San Antonio del Táchira en Venezuela, donde miles de refugiados venezolanos cruzan todos los días para encontrar mejores condiciones de vida. Se necesitarán para poder viajar en los primeros destinos previstos: Podremos filmar en Boa Vista y Rio de Janeiro. De Francia a Fortaleza en Brasil (1 persona). Desde Fortaleza a Boa Vista. (2 personas). De Boa Vista a Río de Janeiro (2 personas). De Río de Janeiro a Fortaleza (2 personas). De Fortaleza a Francia (1 persona). De Rio de Janeiro a Cúcuta (2 personas). De Cúcuta a Fortaleza (2 personas). Compraremos el material de video adicional necesario (tarjetas SD, disco duro, grabadora de sonido, computadora pequeña) y todos los documentos administrativos necesarios y atención médica. También podríamos ir más allá en otros lugares y descubrir más sobre el tema. Director de cine independiente. Él ha cubierto diferentes crisis humanitarias en los últimos años. Su última película, EXODOS, fue filmada a bordo del Aquarius, el barco de rescate de SOS Méditerranée para refugiados en el mar Mediterráneo. 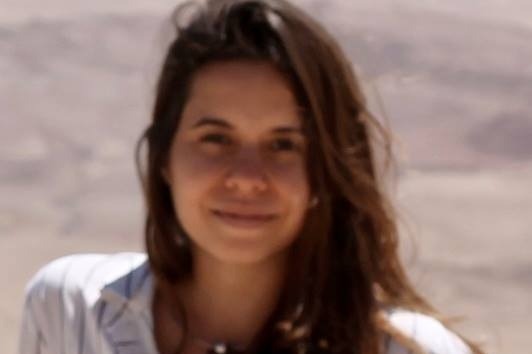 Natalia es una profesional de Relaciones Internacionales interesada en trabajar para la concientización, el alivio y la solución de situaciones humanitarias internacionales. 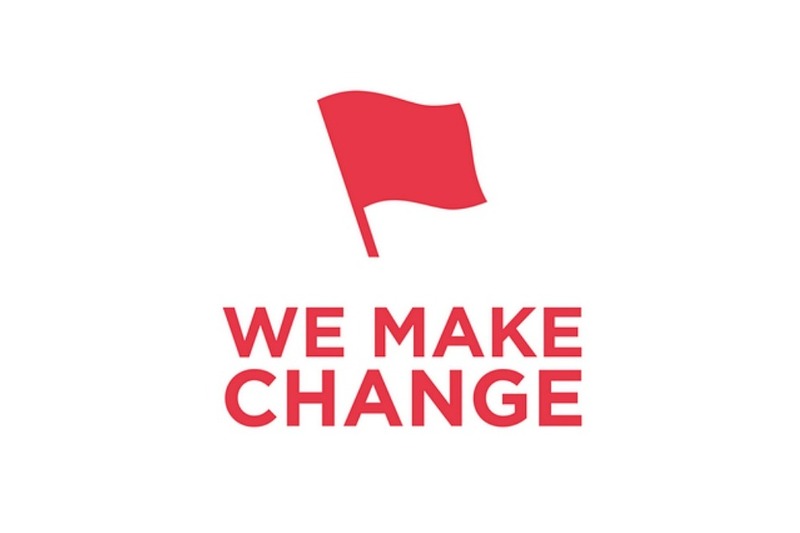 WE MAKE CHANGE es una comunidad global en línea de individuos y ONG que se unen para cambiar el mundo. La campaña de crowdfunding se lanzará en agosto de 2018 con el apoyo de la comunidad We Make Change. Estará abierta para todos los que quieran ayudar y participar. El objetivo es comenzar a principios de agosto y cerrarla a principios de septiembre, cuando el equipo de la película We Make Change viaje a Brasil. Tan pronto como finalice el crowdfunding, el equipo de la película volará a Boa Vista para reunirse con los miembros de ACNUR. La película comenzará a filmarse allí y en las ciudades más afectadas de la frontera. Después de esta primera ubicación, el equipo de la película volará a Cúcuta en Colombia. En la última etapa, el equipo de la película regresará a Brasil para reunirse con los miembros de CARITAS en Río de Janeiro. 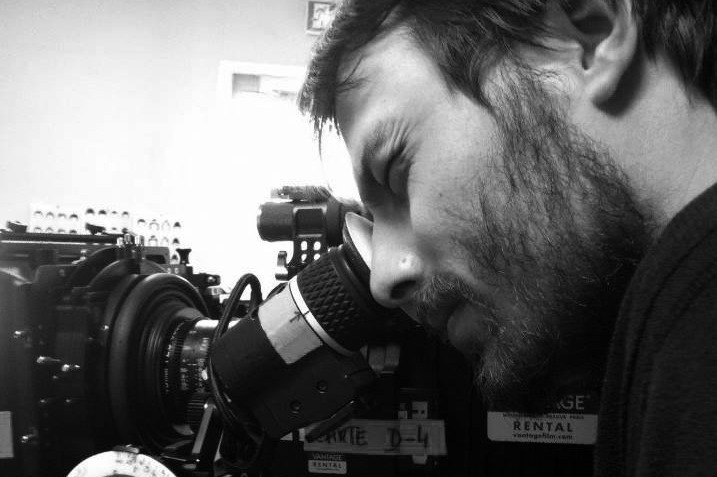 El director estará a cargo de la edición de la película y realizará él mismo material de marketing, como carteles. El proceso de edición puede tomar tiempo, algunas semanas o meses. Durante este tiempo, la película se promocionará en Internet y en las redes sociales. Al final del proceso de edición, se organizará una prueba de pantalla con un pequeño grupo de personas que veran la película por primera vez. Su opinión nos ayudará a completarla y terminarla. 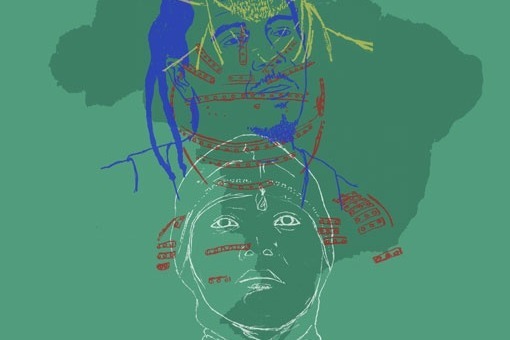 Una vez completada, pretendemos organizar un evento para un estreno mundial, especialmente para la comunidad y amigos de CHANGEMAKER Film, que probablemente tendrá lugar en Londres. conexiones de los miembros con la distribución de películas y el compromiso de llevar la película a un estrato más grande para presentarla a una audiencia más amplia. La película se enviará a diferentes festivales de todo el mundo y las ONG involucradas en la película podrán utilizarla para su comunicación oficial, a fin de destacar sus acciones y tomar parte de la defensa de esta causa. Todas las personas que ayudarán y participarán en esta recaudación de fondos encontrarán su nombre en el título final de la película si así lo desean. ¡Gracias a todos por su ayuda e interés! je suis heureux de vous annoncer la fin d'une aventure et le début d'une autre! En effet Natalia Albuquerque et moi venons de terminer le montage du film LES STATUES DE FORTALEZA. Voilà déjà un peu plus d'un an que nous travaillons sur ce film, ce qui est peu pour un projet de cette ampleur, mais tout est allé très vite et pour le mieux grâce à l'aide, au soutien et à la confiance de toutes les personnes qui nous ont suivi dans ce défi. Nous avons fait des rencontres exceptionnelles tout du long et espérons que le film en rendra compte en leur rendant hommage. Comme la fin d'une aventure marque toujours le début d'une nouvelle, le montage terminé, nous allons commencer un travail de démarche et de recherche sur la diffusion du film un peu partout dans le monde. En effet il sera bientôt sous titré en 4 langues: Anglais, Français, Espagnol et Portugais. N'hésitez pas à me contacter si vous avez des questions ou des remarques. Le film sera prochainement projeté en avant première à Besançon en version Française, je vous tiendrais au courant. Merci encore à tous ceux qui nous ont porté jusque là! 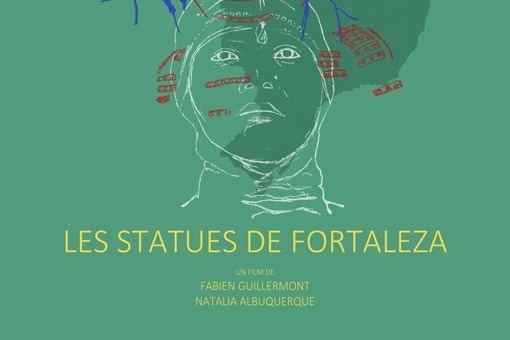 Le film LES STATUES DE FORTALEZA est en cours de post production mais sera bientôt terminé! Projection test le Mercredi 27 Mars à 20h au Pixel, à Besançon, en version sous titrée en anglais! Les versions Françaises, Espagnoles et Portugaises suivront dans les mois d'Avril et Mai. A tous ceux qui ont participé à la campagne, vous recevrez ainsi un mail de remerciement bientôt, avec les liens internet pour visionner le film en entier depuis chez vous ou ailleurs! Merci encore à tous pour votre soutient et confiance! The Changemaker Film team has arrived in Pacaraima ! 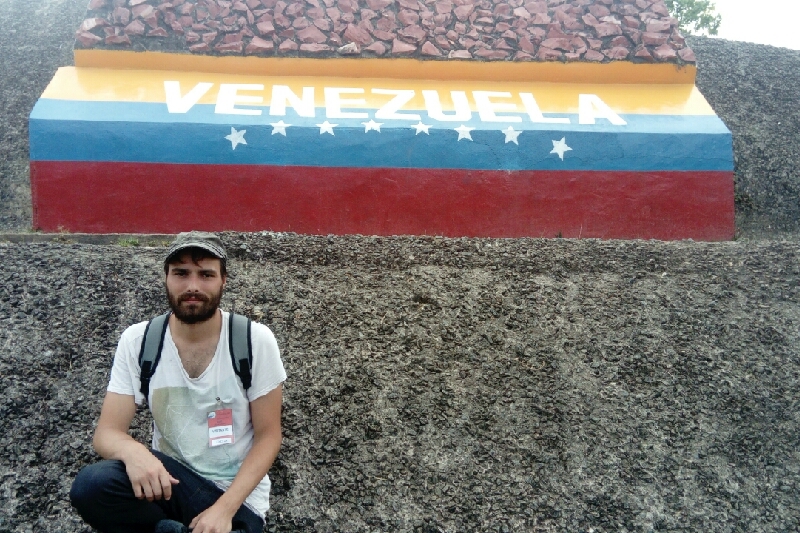 We are now at the border between Brazil and Venezuela. 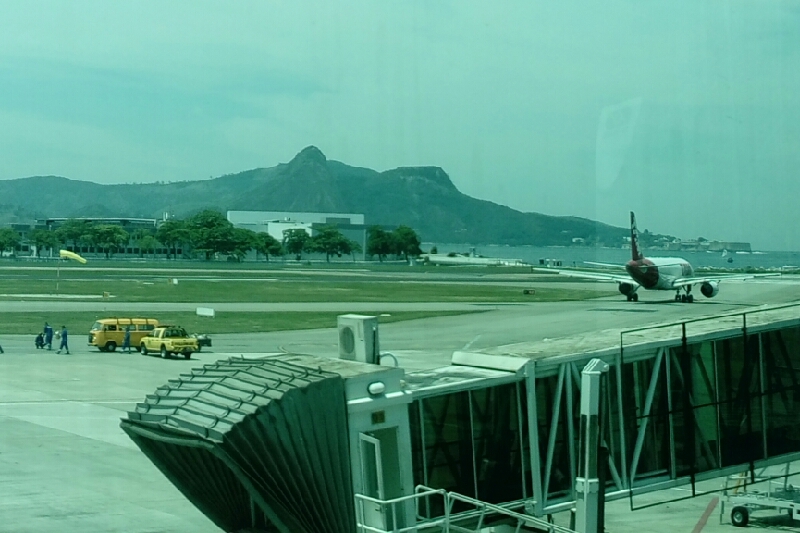 Today the team leaves Rio de Janeiro ! We're on the road to Boa Vista, in Roraima, where we will meet the NGO Fraternidade Sem Fronteiras and have a look on the refugees shelters. We will follow the army's operations in Pacaraima, on the border of Brazil and Venezuela.